Your new lucid dreaming classic for children (and inner children), has arrived. Just released on April 16, 2018, the Kindle Edition of Dreamer's Powerful Tiger is now available on Amazon! 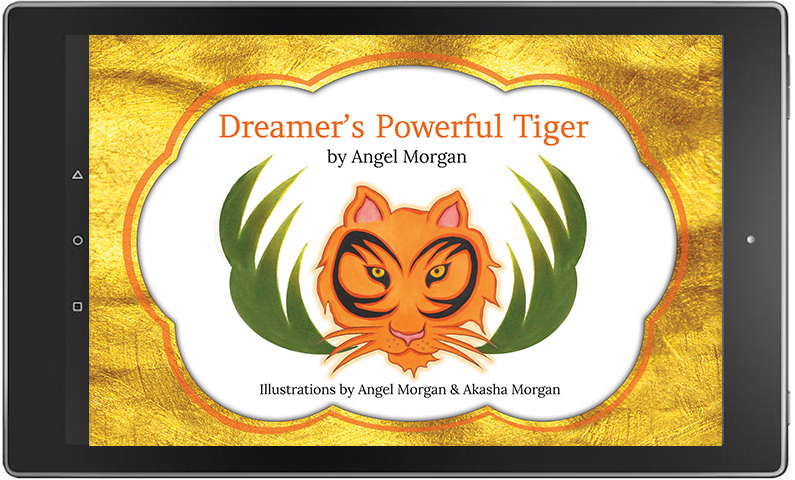 GREAT NEWS: with the Free Kindle App, you can read Dreamer's Powerful Tiger on any device! For those of you wondering if this book will also be available in print, the answer is, "Yes!" The Hardcover and Paperback Editions are coming very soon! I will let you know the moment they become available.